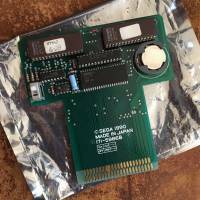 View topic - Off the Wall for Game Gear (and PC Engine) - Forums - SMS Power! We are on a roll! After our previous set of releases for the 20th anniversary, I managed to get hold of another unreleased game. 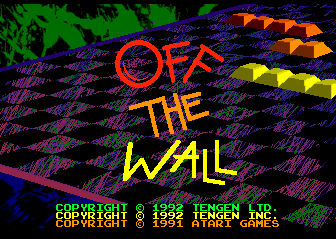 Off the Wall for the Game Gear is an adaptation of the Atari arcade game, something between Breakout and Atari's Warlords, a multiplayer brick breaking game. The game was only released in the arcades, and this Game Gear version was ported by Teeny Weeny Games. This version appears to support 2 players via the Gear-to-Gear cable, but I haven't tried that yet. 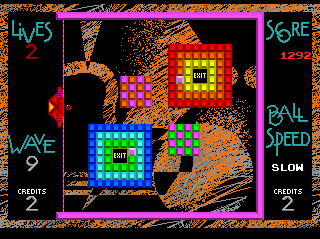 It's unfortunately lacking in the graphics development, and the developer decision to use 4x4 tiles for ease of deelopment makes for a very small playfield. Perhaps they could have managed to use 6x6 tiles? I got hold of this 9 years after we first spotted the game in retro reviews, and 7 years after someone showed up with a prototype cartridge for it, which eventually got sold and went through other hands. Here it is today! We are going to break tradition here, because I also got hold of a PC Engine version of Off the Wall. This has been teased a few times over the years. first by Nekofan a long time ago, then more recently by Jun Amanai who programmed that port and apparently own some versions of it. Comparing the version I obtained with Jun's, it seems that Jun's version is more recent and complete. 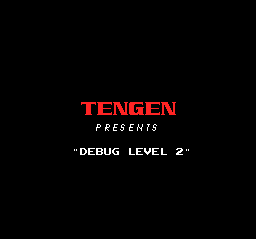 This PC Engine build here seems to be a work-in-progress debug version, where you can skip levels at the press of a button, and not all features have been implemented. Still a cool thing! The files are below. Screenshots of the PC Engine version (taken with Magic Engine). Thank you for all your efforts. Without you, games like these could have been lost forever ´cause nobody ever discovered them. Very cool! This game was at my local arcade. So much fun. Is this any relation to the Atari 2600 game with the same name? No, that's the arcade game this is a port of. There's also a 2600 game that is completely unrelated. Ok, I guess the title of that video is a bit misleading. I am working on a german article for this game at the moment. But I am lacking of good screenshots. If anybody is playing the game the next days, I would be thankful for some pictures =) It´s an amazing game, what a shame that it was never released. It has wonderful music and sound effects and the stage designs are super creative. Only the backgrounds look unfinished. Only the backgrounds look unfinished. For some reason, those backgrounds remind me a lot of the shirts Parker Lewis was wearing in that TV series. Well, I think you can learn in order to get the screenshots you want. It's pretty simple. I can't recommend any single emulator, some are more user friendly and others are more configurable for the kind of experience you want. Emulicious, Meka, Kega all seem good to me.